At Shade Bar NYC in Greenwich Village, not far from the Cozy Soup & Burger shack, if you get hungry. 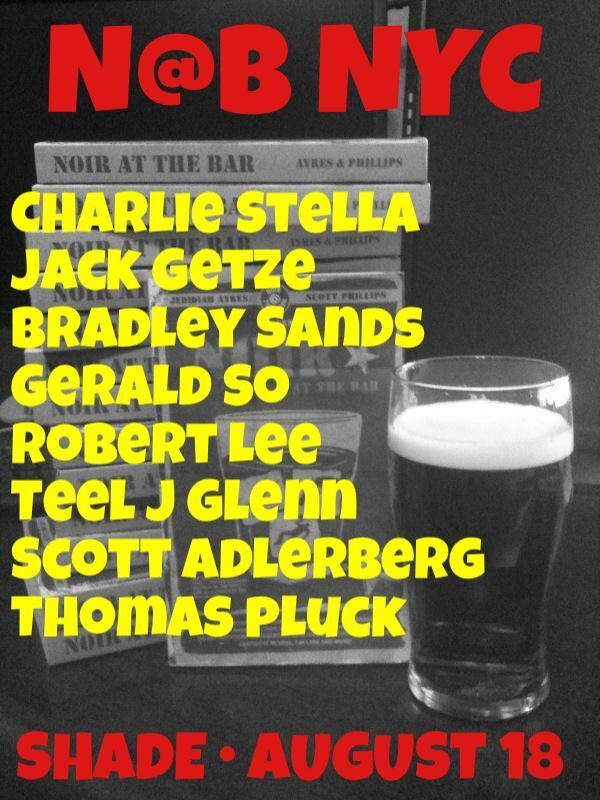 Join us for the mellifluous and doomheavy tones of noir. Begins at 6pm promptly… if Mr. Stella is starting things off you’ll want to get there early. Charlie is one hell of a writer. 241 Sullivan Street. Off the West 4th Street subway stop. They serve awesome crepes and have good beer on tap, and a nice selection of bourbon.